ethan walker : FBO Returns for 2015! 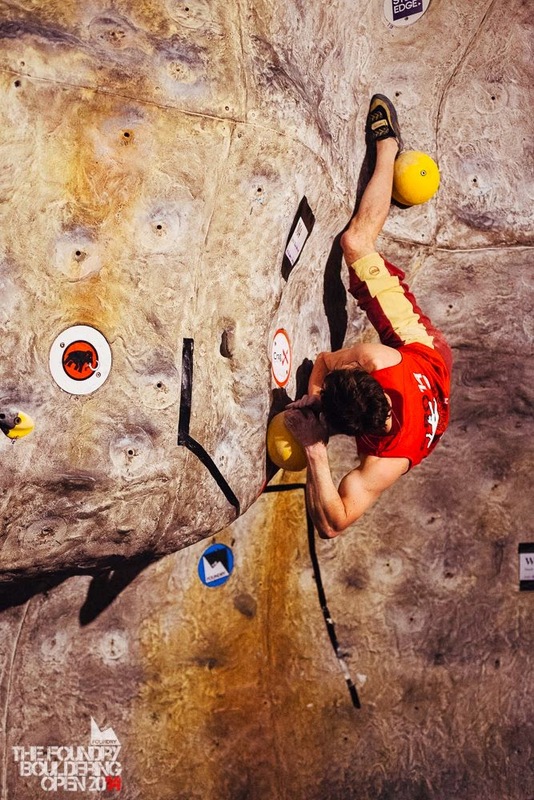 Following on from the big success of The Foundry Bouldering Open that ran back in February, it is once again returning in the New Year! Last time out was a huge amount of fun for all involved and I know that it definitely got me psyched on the whole comp scene again. Next years event, to be held on the 7th February, promises to be bigger and better and hopefully it'll be another good weekend for The Foundry crew! Check out the link below for everything you need to know about the day. And to get you even more psyched and for a taster of what to expect take a look at the video below from Ben Pritchard that gives the low down on last time out! Click here to register now and secure your place! Treks Himalaya is indoor outdoor trekking and tours Operators takes you that further way to guarantee for Trekking in Nepal that you has an unforgettable adventure Trek in Nepal that you have been dream with Acute trek is part of your choice for Nepal Tours. We have your choose of Nepal Trekking for 3 days to 30 or more days it depending of your timetable, sleep under lodges or tent. We always respect our duty to constantly your Nepal Holidays satisfaction. Whether you are looking for gateway Travel in Nepal, a memorable Hiking in Nepal outing with a family or an exciting nature Tours in Nepal with Acute Trek Pvt. Ltd.. We offer you with the best progressive information during your Nepal Travel and itinerary leading focused and modified as per your requirements of Holidays in Nepal. It is significant Treks Himalaya to memorize, though, it necessitate an enough level of physical homework and must remembers that there is also a psychosomatic assurance walking and Trekking in Himalaya. Acute trek is an attempt to encourage Adventure Trekking in Nepal to the exterior world while striving to defend an aged tradition as well as conserve the surroundings for generation to come Tours Trekking in Nepal. We are specialize in organize Nepal travel activities excursion such as:- Trekking, Helicopter Tour, Peak Climbing, Mountain Flight, Honeymoon Tour, Sightseeing, Rafting, Jungle Safari, Pilgrim’s Tour, Hotel Reservation, Air Ticket, Tibet and Bhutan Tour many more your vacation desire.